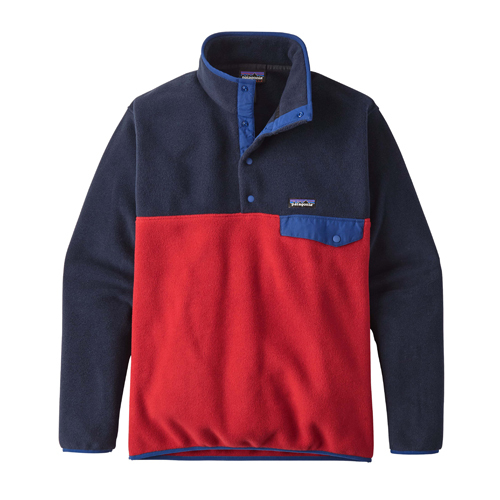 Patagonia's LW Synchilla Snap-T Pullover features the best fleece money can buy and is designed to be comfortable and warm no matter the situation. This pullover has quick drying and moisture wicking capabilities with soft warmth of the inside and durability. 100% polyester is used along with recycled fleece to construct the jacket. Features include easy-entry 4-button snap closure placket, stand-up collar and Y-Joint sleeves. Left chest pocket has Supplex nylon flap with snap closure. Spandex binding at cuffs and hem help keep the heat in and the cold out.